Inspired by Minimalist Baker's post on Granola Bars, I realized I had saved another recipe for granola bars from In Praise of Leftovers on my computer from 2010 that was strikingly similar. This one was based on a recipe from Eating Well but I had never gotten around to making them until I saw MB's lovely photos which finally inspired me to try these wonderful no-bake granola bars. The beauty of these granola or 'power' bars is that they are so easy to make and are endlessly adaptable. I had everything I needed on hand last weekend when I made these - old-fashioned oats, peanut butter, honey and agave nectar, dried figs, dried cherries, sliced almonds, sesame seeds and unsweetened coconut. I doubled the recipe and am glad I did! 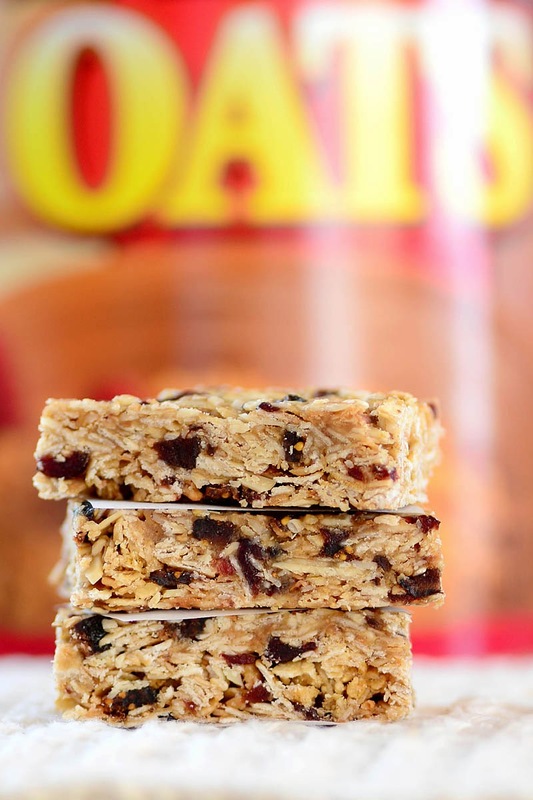 They are the most delicious granola bar I've ever had - just right for a quick on-the-run breakfast or snack. I will definitely be making these again. I advise doubling this recipe and using a non-stick 9x13" baking pan! Spread oats, almonds, sesame seeds and coconut on a large, rimmed baking sheet and toast until everything is lightly browned and fragrant, 8-10 minutes. Transfer to a large bowl. Add cereal, and dried fruits and toss to combine. Combine peanut butter, brown sugar, honey and/or nectar, vanilla, and salt in small saucepan. Heat over medium-low, stirring frequently, until the mixture bubbles slightly, 2-5 minutes. Immediately pour the peanut butter mixture over the dry ingredients and mix with a spoon until no dry spots remain. Transfer to the prepared pan. Lightly oil your hands and press the mixture down firmly to make an even layer. I also used the flat side of a large spatula to even press the mixture into the pan. Refrigerate until firm, about 30-45 minutes. Remove slab of bars and cut into even strips and then bars. Mine were about 1-1/2" x 2-1/2" and yielded about 32 bars with the doubled recipe. I love granola bars and rarely make them. These sound wonderful with ingredients that I like and are healthy. 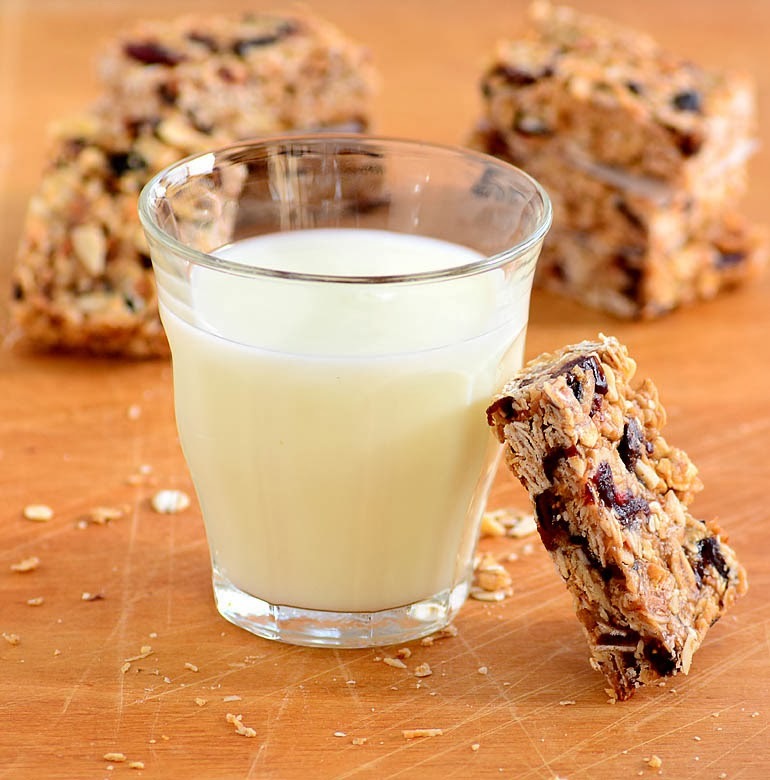 Homemade granola bars are perfect when you need a quick snack on the go that's filled with protein and nutritious. Nice recipe. wow I love these granola bars, Susan. They look fabulous and luckily, I have ALL the ingredients in my pantry. Thanks for sharing! ...MMM those look really delicious. These would be great to eat anytime but especially when I am hiking! :-) I will have to try your recipe! Your photos are OUTSTANDING nana..
Beautiful photos Susan and the granolas look so crunchy and delicious with the coconut and the sesame seeds! Whatever inspired you to get these posted, I am grateful to. They have everything we like and then some. I may have to wait until the great thaw to pick up a few ingredients that aren't on hand. Can you believe that I never made granola bars? Yours look delicious with the dry figs and cherry, I love them fruity. YUM! Juliana, your comment was my first since my blog was locked. I am so thrilled to see it and that my blog is back online again! I'm glad that your blog is back to normal again! I love granola bars, my family not so, so I would enjoy it all on my own. These looks wonderful! These look wonderful and so healthy! 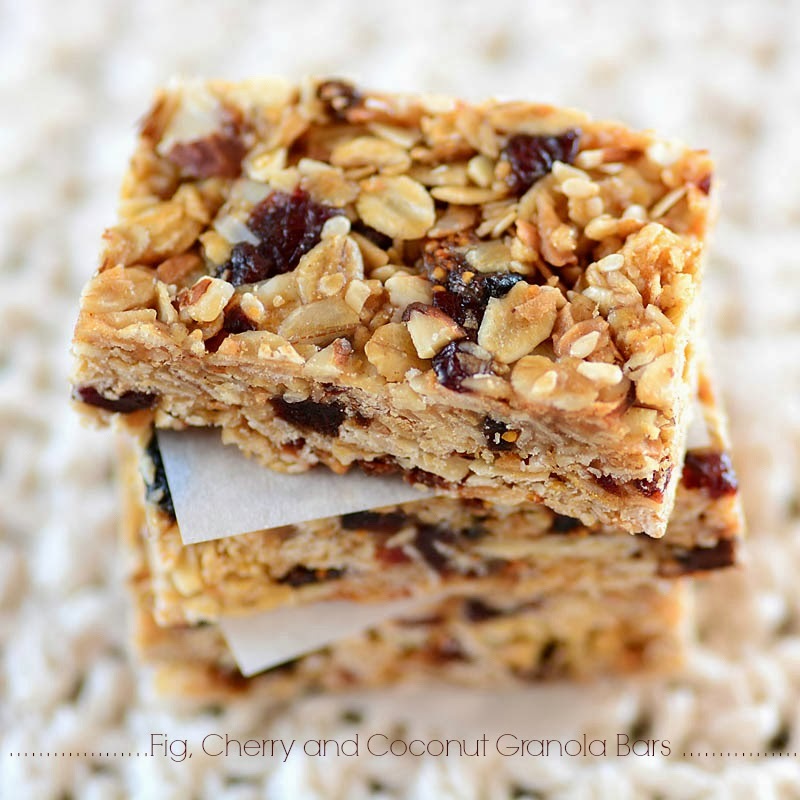 We haven't made granola bars yet and would love to try this recipe! Thanks for sharing ! Add USimplySeason Jalapeño Sea Salt to steamed or boiled edamame, a delicious combination with a wild side. The sea salt is a perfect blend of all natural sea salt and a healthy dose of authentic jalapeno peppers combine to create a fiery hot flavor that will make your taste buds tingle. This sizzling salt will give a bite of spicy flavor to your favorite recipes on the grill or in the kitchen. Prepare edamame as described on packaging. Sea Salt is commonly added for taste. Dissolve 1-2 teaspoons USimplySeason Jalapeño Sea Salt either by adding it to the boiling water before introducing the soybean pods, or by sprinkling it on after the pods have been cooked. Enjoy cooking with artisan spice blends crafted in small batches. Delicious and simple.